With the Gotthard, Alpenföhn has a topflow cooler in its portfolio which is capable of removing a lot of heat at adequate temperatures. 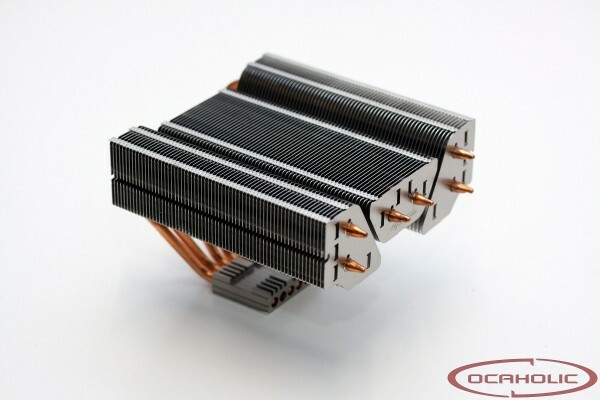 With this cooler you get six heatpipes, which feed three separate cooling blocks with heat. It will be interesting to check how efficient this cooler really is. On the following pages we will show you what the Alpenföhn Gotthard tower cooler is capable of.